When I began structured prayer journaling in 2001 I was not prepared to discover this. It only took a little a while, but then I saw It! When I would go back and review my entries and God’s responses, I could see His hand working in my life. 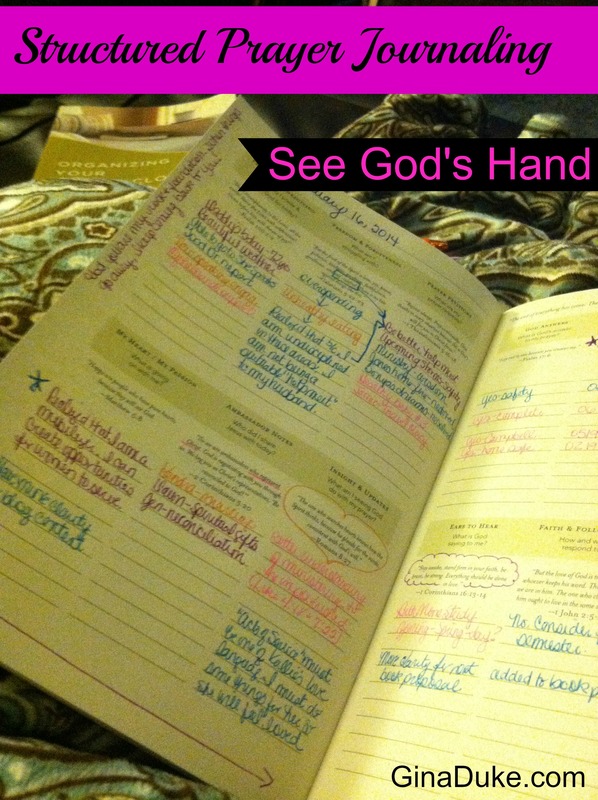 Let me say it this way: Through structured prayer journaling, I can see the hand of God! Because here is the deal – when we succinctly write down our prayers, it is like bringing things from the Spiritual realm into our visual presence where we can then physically see the hand of God! Truth! When I go back through my structured prayer journal in review mode, I can see how He has weaved events, trials and joyful moments of my life into meaning. It is much too difficult to see this when journaling the traditional, free-handed way. With structured prayer journaling, all I have to do is flip back and within a glance, I can see what God has done. I don’t have to go back read pages upon pages in hopes of catching a glimpse. Don’t we long to see God’s glory??? So many times when I am reviewing my structured prayer journal I feel like Moses in the cleft of the rock, and I realize that God has just passed by. I can see that He has been here, in this place with me, over this matter! 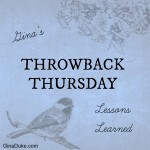 Years ago, I received a job offer to what I thought would be a great job. My husband was not happy with the particulars of the offer so he did not agree with me on accepting the offer. I was upset to say the least! I told him, “You are soooo missing God on this!” Regardless, he stood his ground, and I declined the offer. Six months later, the same person came back to me with a different offer but a gazillion times better! I was offered more money to work part-time! And I had benefits, too!!! 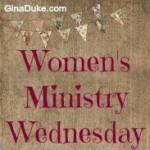 This offer was very acceptable to my husband and it also allowed me more time to do ministry work. After thinking through what happened, I knew that God’s glory had passed by. My husband’s first No was God’s Yes! I believe because I honored my husband’s wishes, God was able to bless me the way He saw fit, and it all worked to His benefit as well as ours. That is how good God is!!! 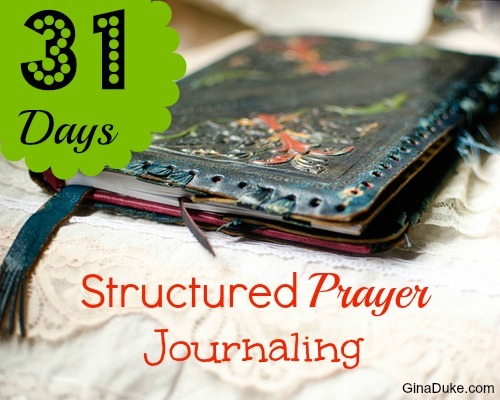 Structured prayer journaling is the place where “all of [God’s] goodness” can “pass in front of you” (vs. 19). If you think it is too difficult to get all of your words in the smaller sections, I am going to share why even that is important, not only to structured prayer journaling, but to your prayer life as well. Tune in tomorrow! Gina, your heart just keeps reaching out to touch my heart. The aspect of my spiritual life about which I’m least happy is my prayer life. Your series is really helping. I am soooo happy to hear this! Girl, I know! 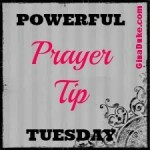 When it comes to prayer – something that is easy to do – seems to be the hardest. I hope this type of prayer journaling will help you greatly. I could never NOT do structured prayer journaling because I couldn’t stand missing out on seeing God at work! 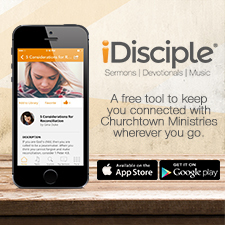 Thank you for reaching out to me, and letting me know that you are benefiting from this 31 days series.